It is true! 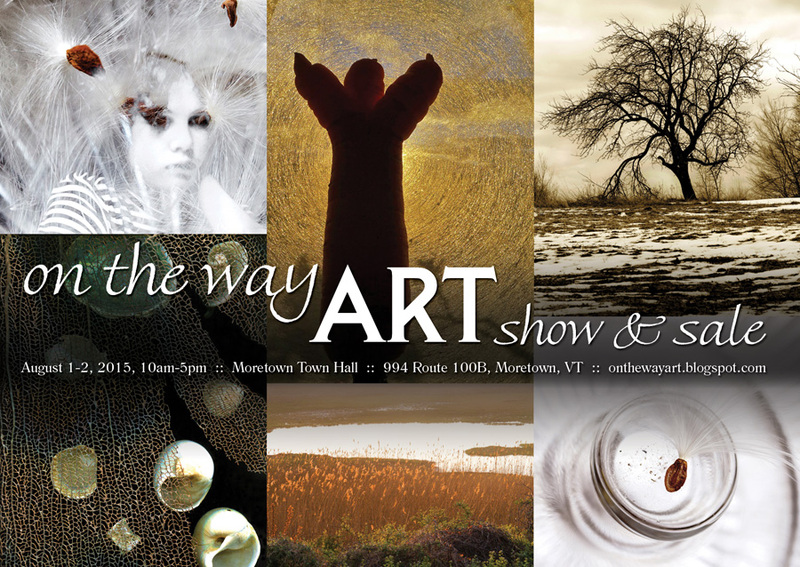 The On The Way Art Show and Sale has become an annual event! Join myself and my fellow critique group artists: Patricia Lyon-Surrey, Holly King and Jackie Smith for our second show and sale. Once again we will hold the event in historic Moretown Town Hall and have expanded our show to 2 days - August 1 and 2, a Saturday and Sunday, from 10 am to 5 pm. We have timed the show to coincide with the Vermont Festival of the Arts which will give you plenty of art to see in the Valley. I look forward to debuting a new series of work that is still in process (working title Family Trees) and getting your feedback. all photographs and contents property of michelle saffran 2010. Awesome Inc. theme. Powered by Blogger.